Edward Timpson has lost his seat; what are the lessons from the campaign for the rest of us? 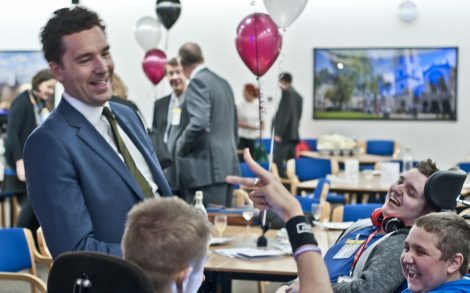 Edward Timpson, the architect of the Children and Families Act and the minister who has been overseeing the overhaul of the Special Educational Needs and Disabilities (SEND) system, narrowly lost his seat in the general election. Widely respected and praised for his dedication and passion, he will be missed and a hard act to follow. It remains to be seen what effect the uncertainty of a hung parliament and a new Minister will have on future SEND policy, but what lessons can those involved in delivering the SEND system learn from the election campaign itself? 1. Negative campaigning doesn’t work. When the leaders of the Remain campaign in the EU referendum admitted that their biggest mistake was to focus on the negative consequences of Brexit, you would think that this would have informed the election campaign. But Theresa May’s campaign made the same mistake, and voters – especially the young – rejected scare tactics and ignored the screaming negative headlines. Those of us involved in the implementation of the SEND reforms must remember this… Dame Christine Lenehan and the team undertaking the review of placements in independent specialist schools and colleges have already indicated that they have found too much criticism of others from all sides, and more should be done to focus on common ground and work together. We must remember that negativity and lack of professionalism towards those who may hold different views will not produce the outcome we are all working towards. 2. Leaders need to be inclusive, approachable and visible. One of the many talking points of the campaign was Theresa May’s leadership style. The repetition of “I” rather than “we”, the no-show in the debate, the closed inner circle, and the lack of consultation with cabinet ministers on key policy lines, all resulted in much criticism. Contrast also her rather wooden performances in front of hand-picked audiences, with the ease displayed by Jeremy Corbyn as he handled large crowds at his open rallies. Corbyn’s visible, straight-talking, unflappable leadership style led to even his fiercest critics inside the Labour Party, who believed him to be unelectable, eating humble pie by the end of the campaign. The question for us must be – can leaders across local authorities, schools, colleges, community and parent groups display leadership skills that bring people together, inspire and motivate? 3. Confidence can become a weakness if you are not careful. There’s a fine line between confidence, over confidence and arrogance. Theresa May displayed all three during the course of the campaign, and with the electorate refusing to be told what to do, the gamble of calling the election spectacularly backfired. As for professionals in our sector, let’s make sure we do not fall into the trap of repeating mantras without clear action to back them up. The latest SEND data shows that there is a long way to go before the system is truly person centred, responsive, transparent, easy to navigate, and efficient – so let us check and challenge ourselves when we confidently predict progress or blithely continue on with courses of action that are not working. 4. Beware assumption, media bias and echo chambers. With social media now the main source of information for many, we are all guilty of “confirmation bias” – surrounding ourselves with views, memes, articles and videos that we agree with. We look out for evidence that confirms our beliefs, and ignore evidence to the contrary – this is why the BBC was accused of both left and right-wing bias during the campaign. If this election (and Brexit, and Trump, and Leicester City winning the Premier League) teaches us anything, it must be this: Question all your assumptions, seek out other evidence and points of view, and be aware that anything can happen. 5. Don’t mess with the young, the old or the vulnerable. Whether the issue was school budgets, student fees, FE and skills, the ‘dementia tax’ or the future of the NHS, the conservatives wildly underestimated the capacity of people to register a protest. The new government will now be forced to re-think policy, and whilst we don’t yet know if they can get a Queen’s speech and a new budget through the hung parliament, many families and professionals working to improve provision for children and young people with learning difficulties and disabilities will be hoping that this results in a new approach to funding health, education and social care. Finally, any reflections on the campaign cannot ignore the horrific atrocities in Manchester and London. The response of everyone involved, both at the time and in the days following the attacks, demonstrated courage, unity, resilience and a determination not to allow the events to lead to reprisals or to interrupt the democratic process. These events brought into sharp focus the importance of protecting both our core values and our public services. Whilst it is wrong to draw direct comparisons, the next time we are faced with professional challenges we can all learn from the unbreakable spirit shown by the remarkable individuals and communities in Manchester and London. The young people we work with demonstrate a similar unbreakable sprit, and they need both professionals and politicians to live these values. Whoever takes over from Edward Timpson must show conviction, work hard to protect the principles of the Act, and finally achieve the vision that he set out back in 2014.